Love Varnish: My Nails got Featured in Nails HQ Magazine! My Nails got Featured in Nails HQ Magazine! Hi guys! There is a post from Deborah and an extra post from me today, because I've got something to share with you which I am very excited about! A little while ago I was contacted by the lovely Ana from NailCareHQ. She had found a manicure I did a while ago with two P2 polishes and striping tape. She really liked what I had done and wanted to feature this manicure in her magazine! Isn't that cool? I said yes of course, and the issue with my feature is out now. Nails HQ Magazine is an online, interactive magazine with fun and educational articles and features manicures from lots of different bloggers. 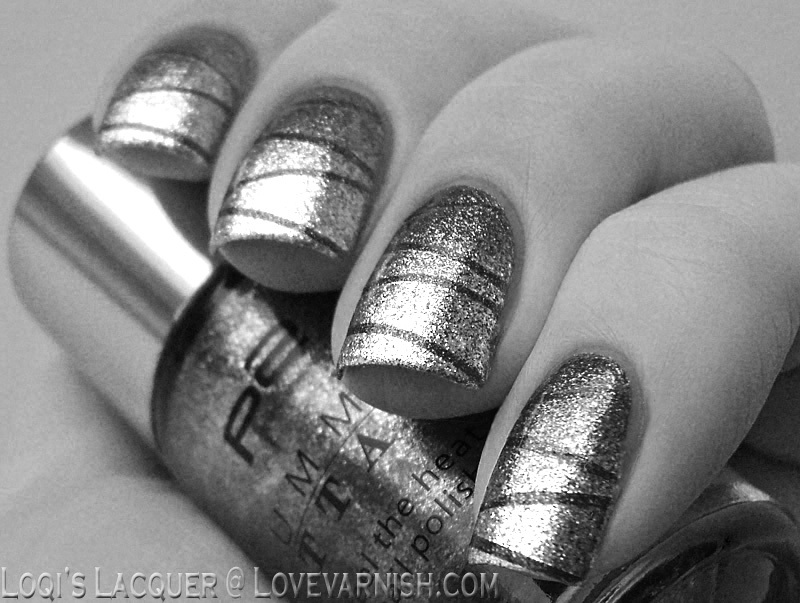 The current issue is about striping tape and shows different nail-arts with 'how-to' descriptions. So if you guys want to check out my feature you can head over to Itunes for 'The taping issue' of the magazine! I really feel honoured I was asked! That's so awesome! Congrats doll! Aaahw thank you! <3 you are such a sweetheart! You know how proud I am of you :D! Congrats babe!